UK commercial broadcaster Channel 4 (C4) has ordered a new season of its rebooted gameshow The Crystal Maze from Fizz, part of RDF Television. 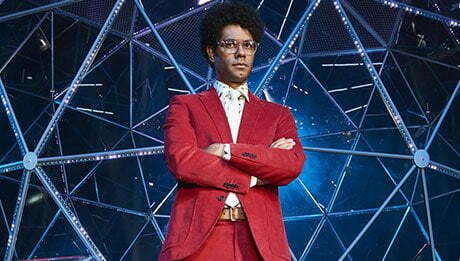 The new 12×60’ season includes six celebrity specials in aid of Stand Up to Cancer and the show will once again be presented by Richard Ayoade. The Crystal Maze is executive produced by Neale Simpson for Fizz and has been commissioned for Channel 4 by Tom Beck, head of live events and commissioning editor for entertainment, and Ed Havard, head of entertainment. The show is a Banijay Group format distributed by Banijay Rights, which the company acquired along with adventure reality format Survivor in October. The new commission comes after C4 ordered a 20-part season of The Crystal Maze last January following a successful broadcast of a celebrity one-off special in 2016. The show originally aired on C4 for six seasons between 1990 and 1995.